In Colorado, farmers’ markets are more than just open-air organic grocery stores. They’re social gatherings, lazy-afternoon-drive destinations, live-music venues and learning centers filled with soul-nourishing events and fresh Colorado fare. Sample the best of the state and plan a summer menu of earthy Colorado goods with ingredients from the following farmers’ markets. Alamosa Farmers’ Market – San Luis Valley dairy and meat producers offer home-crafted cheeses and grass-fed beef, lamb and yak. Nibble samples from valley growers and score Colorado recipes and tips at free cooking demos. Boulder Farmers’ Market – The popular Boulder market boasts the longest season in Colorado, running from April to mid-November. Find out-of-the-ordinary goods such as specialty chocolate, goat milk and crayfish, along with a full food court and acoustic entertainment. Cañon City Farmers’ Market – This Tuesday market is a true community gathering, serving coffee and breakfast and treating kids to a free outdoor library story hour. 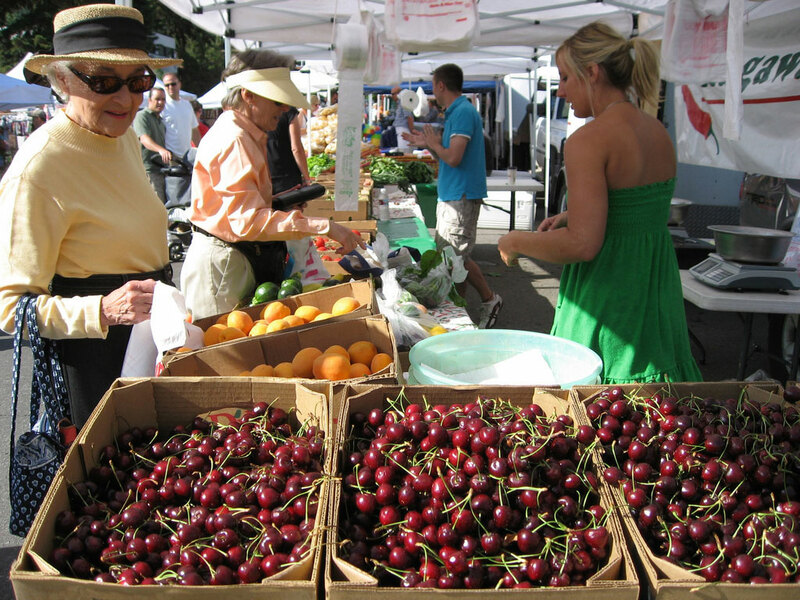 Colorado Springs markets – Colorado Springs hosts more than a dozen summer farmers’ markets. The Colorado Farm & Art Market adds fine artisans and crafts to the mix of organic produce, doggie treats, infused vinegars and honeys. Crested Butte Farmers’ Market – In addition to wild-caught fish, ciders, wines and massages, this mountain hamlet brings visitors genuine field-to-fork experiences with a seasonal harvest supper. The meal is sourced entirely from local foods, down to the table salt. Dillon Farmers’ Market – This lakeside bazaar features artistic glass jewelry, handmade pottery, boutique soaps, cheeses, pastries and more. Grab a fresh-squeezed lemonade and some walnut cranberry bread, then explore Lake Dillon on a historical boat tour with departures from Dillon Marina. Cherry Creek Fresh Market – Denver’s largest farmers’ market places vendors and visitors in the heart of the city’s high-end shopping district. Dubbed the “Cadillac of farmers’ markets,” specialty gourmet food vendors whip up Colorado dishes, musicians strum guitars and master gardeners share their green-thumb secrets. 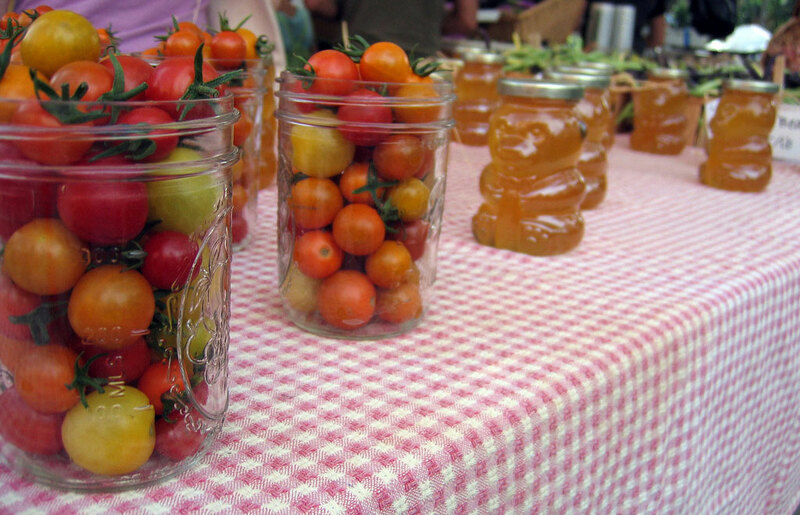 South Pearl Street Farmers’ Market – This 17-year-old Denver family-neighborhood market is all about juicy Western Slope peaches and apples, legendary baked treats and special events that include a chili cook-off, pet fair and flea market. 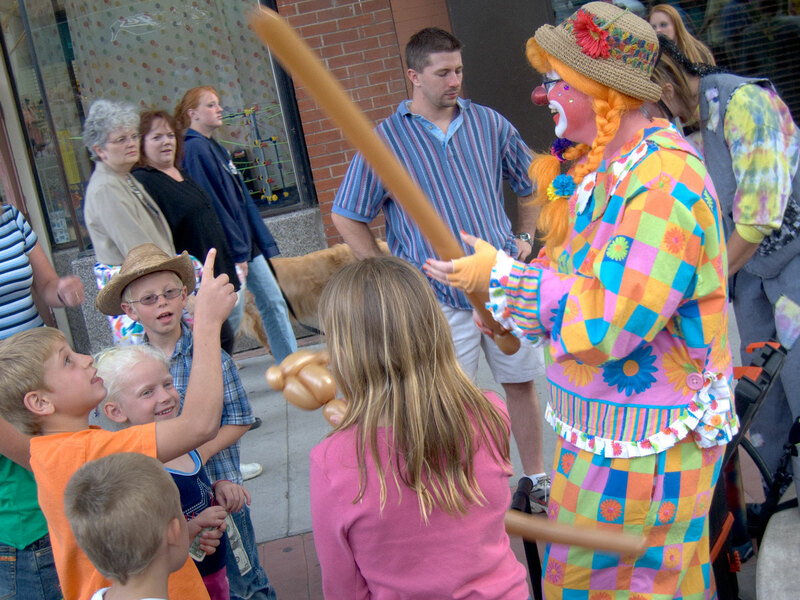 Telluride Farmer’s Market – King of Colorado festivals, Telluride keeps the jovial vibe alive at its Friday market with free music and presentations on the Gondola Plaza, along with pottery, clothing and wood craft vendors. 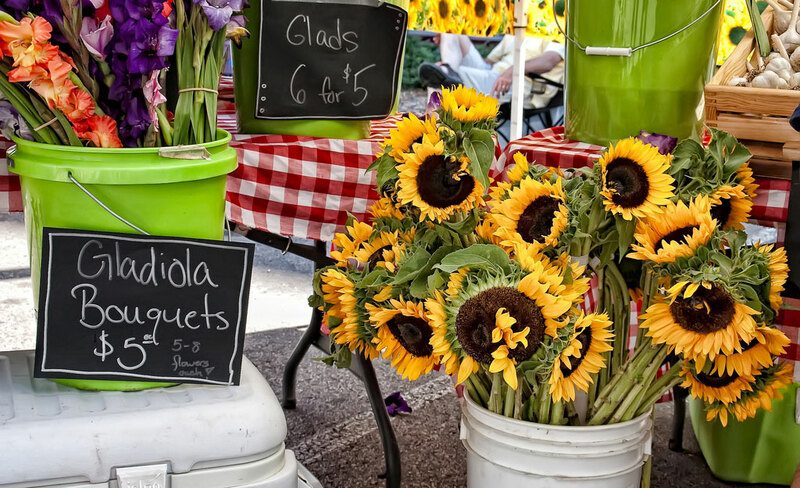 Vail Farmers’ Market and Art Show – The largest farmers’ market in Colorado delights with 135 tents packed with garden goodies, regional fare, international cuisines and art. Add the live music, huge roasted turkey legs, parmesan-dusted corn on the cob and kids' play areas, and the Sunday market resembles a bustling county fair. Visit coloradoproud.org to find a farmers' market directory organized by day of the week, crop calendars, produce-picking tips, activities and much more. Another good resource is the Colorado Farmers Market Association. Photos: Copyright flickr/phigits, flickr/beautifulcataya, flickr/cool.as.a.cucumber, Denise Chambers/Miles.